Donate now to brighten the life of a senior this holiday season! Each $50 gift provides a festive poinsettia, gift card and friendly visit to a local senior. 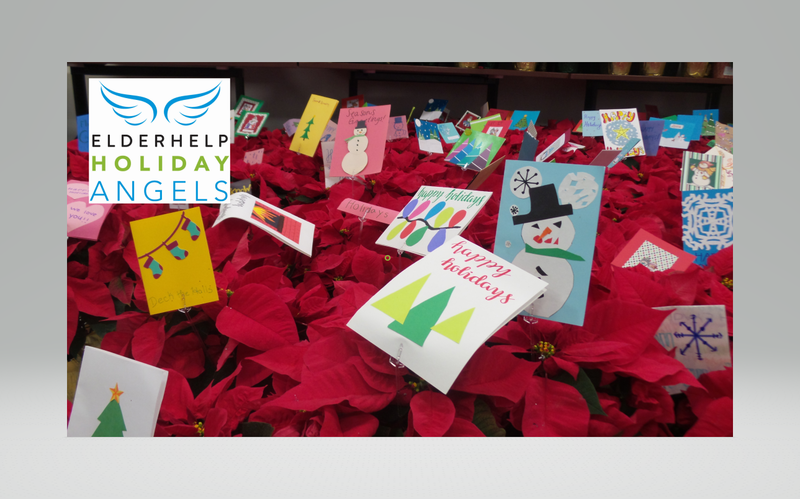 YOU MAKE HOLIDAY ANGELS POSSIBLE! ElderHelp is a vital community resource for seniors and their families in San Diego County. By providing personalized, preventive services, ElderHelp creates opportunities for seniors to live independently and thrive in their homes. But the holidays are extra special at ElderHelp as we partner again with UPS to make sure that seniors are remembered and celebrated this holiday season. On December 2nd, over 350 seniors will receive a festive poinsettia and a gift card, donated by generous people like you. Seniors will buy medication or socks, or milk with their gift cards. More than the gift, it's the visit our clients cherish the most. It's often the only holiday visit they'll have. Your gift provides comfort and care during this joyous season. Proudly presented by the NSL. Please enjoy. ElderHelp is a truly amazing program. I’ve been matched with a senior and she has changed my life! Wishing all of you a healthy and happy Holiday Season from all of us at Ryan Carvalho LLP! My husband retired from UPS and I LOVE UPS..he's gone now but UPS isn't. ElderHelp provides much needed ways to serve our elderly community. Our family is proud to support all of you and your wonderful volunteers! I believe the poinsettia and gift card, and especially the visit of a volunteer will brighten the holidays for an elderly person who may be alone. Thank you for your loving work for our most vulnerable. Elder Helps helps so many seniors, including me. Happy Holidays everyone. I was taught by my parents, and my in-laws, to always respect your elders. Giving of my time & money is one way I try to live up to what I was taught. Keep changing the lives of those who have given us so much! Wishing the best of holidays and sweet memories for all the very special seniors. You add so much to those whose lives you touch. Supporting seshers during the holidays.